Looking for some winter fun and things to do? Here are links to 2 events in the coming month. The second is the Hubbard Sleigh Festival. Hubbard, located at the south end of Long Lake, has a long history with lake people. Once it was the nearest place to buy groceries, gas, etc. for many lake residents and visitors. Now it is home to Hilltop Restaurant and Long Lake Theater. The Park Rapids Enterprise ran an article with details about the Sleigh Festival in Saturday's paper. To read the complete article use the link below. "Hubbard will hold an old-fashioned sleigh festival along Main Street Sunday, Feb. 26. The festival honors the community’s prairie heritage and marks the return of this popular event after a hiatus of more than 10 years." LLAA members Sharon Natzel and Bill Cowman attended this year's AIS Legislative Summit that was held in Detroit Lakes on January 14th. The link below will take you to an excellent summary of the event prepared by Darrin Hoverson, AIS specialist. 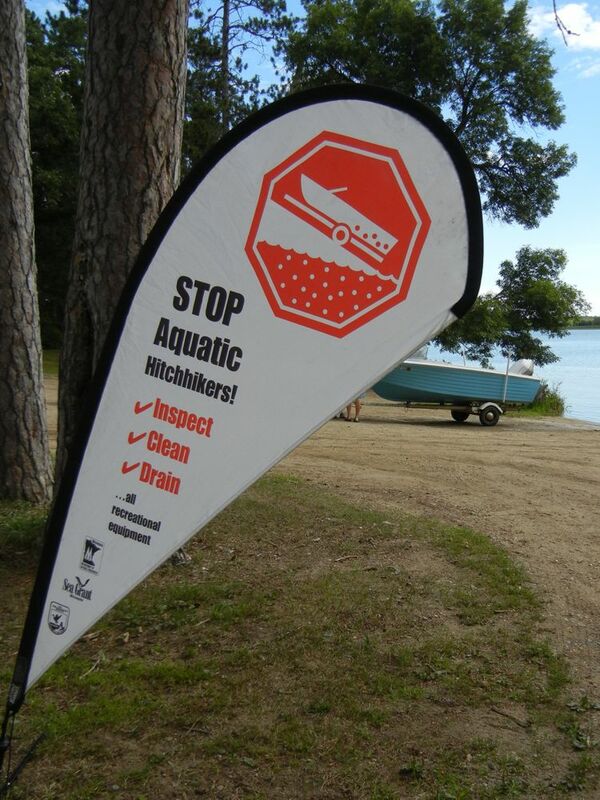 We need your help to notify all lake service providers in your region that the mandatory statewide AIS training and permitting for people who install and remove water recreation equipment as required by new state laws passed in 2011. The upcoming training in your region is the perfect opportunity to reach out to all lake service businesses in your community and to remind them that according to the law, service providers are individuals or businesses hired to install or remove water-related equipment, such as boats, docks, boat lifts or structures, from waters of the state. And they are now required to obtain a permit from the DNR before providing any of those services. 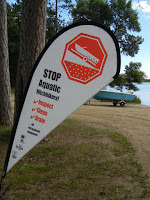 The DNR will begin to implement and enforce this during the 2012 open water season. PS: Use the link to see the newest MNWaters newsletter too. The link below goes to a program on Minnesota Public Radio from January 13th. Thought people might be interested in this as we work so hard to keep invasive species out of Long Lake. 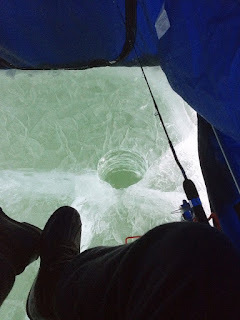 Dave Anderson sent this photo to us stating that ice fishing was good the first week of 2012. The ice thickness ranged from 8 to 12 inches then and by now is probably thicker. At our place a couple of nice (12 inch) tulibees were the first catch after drilling a hole. Has anyone else caught anything recently? Let us know what you are catching in the "comments" section of this post. Many of the usual cold weather sports we enjoy are not possible this year because of the lack of snow. Winter isn't over yet, however, as evidenced by the cold temperatures that moved in this week. There is still plenty of time left for the hope to be realized of eventually having enough snow for more of our favorite winter outdoor activities. Opening trails for skiing, snowshoeing, and snowmobiling would also be very helpful to the local economy.